KIEV, Ukraine -- A consignment of enriched uranium - enough to make a nuclear weapon, according to a U.S. expert - rumbled out of a Ukrainian railway depot late on Saturday bound for Russia, a move designed to coincide with an international summit on nuclear security. The summit will focus on measures to protect nuclear materials and facilities and to prevent illicit trafficking. "What you are seeing here is enough material to make one nuclear weapon," Andrew Bieniawski, director of the Global Reduction Threat Initiative of the U.S. National Nuclear Security Administration, told Reuters as the containers were loaded under guard at the depot outside Kiev. Altogether 200 kilograms of weapons-grade material have been removed from Ukraine and sent back to Russia - the originating country - since May 2010. The material will be delivered to the Mayak reprocessing nuclear facility in Russia's Ural mountains - a rail journey of about five days from Kiev. Bieniawski said similar material still had to be removed from NATO allies Czech republic and Hungary, and Vietnam, under programmes with the United States over the next four years. "Ukraine is the model for future shipments ... We can say the world is safer. If you remove this material you make a country permanently safer because terrorists can not acquire nuclear material," he said. 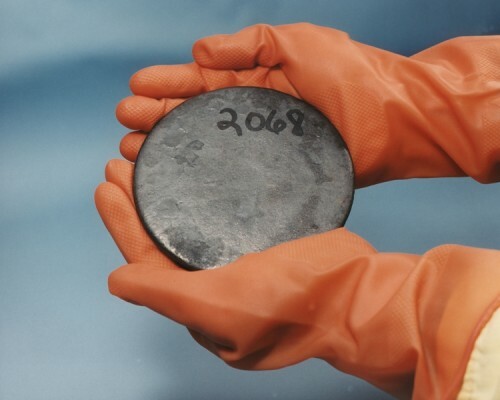 The enriched uranium shipped out on Saturday had been used in a reactor at a nuclear research facility in Kiev. The Seoul conference will provide a rare opportunity for Yanukovich to rub shoulders with Obama and other Western leaders. He has been left out in the cold by several European Union leaders at international gatherings and chastised by the United States because of the jailing of Ukrainian opposition leader Yulia Tymoshenko on charges of abuse-of-office which Western governments say were politically motivated.